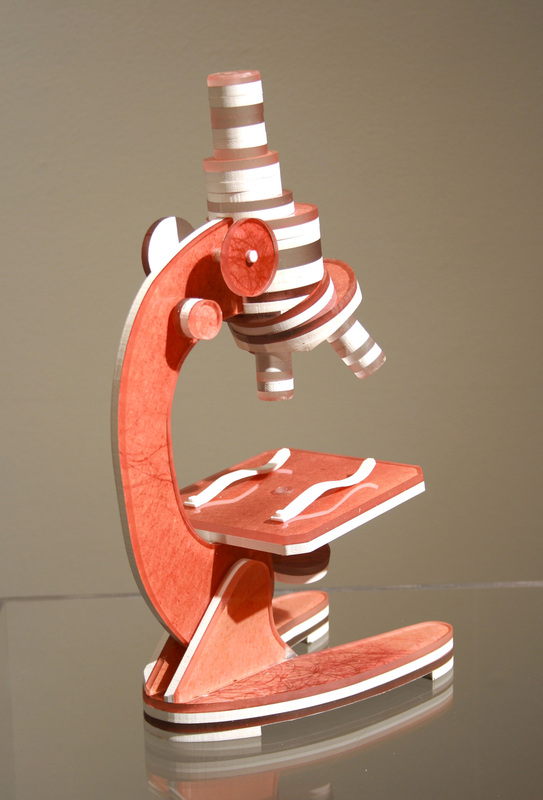 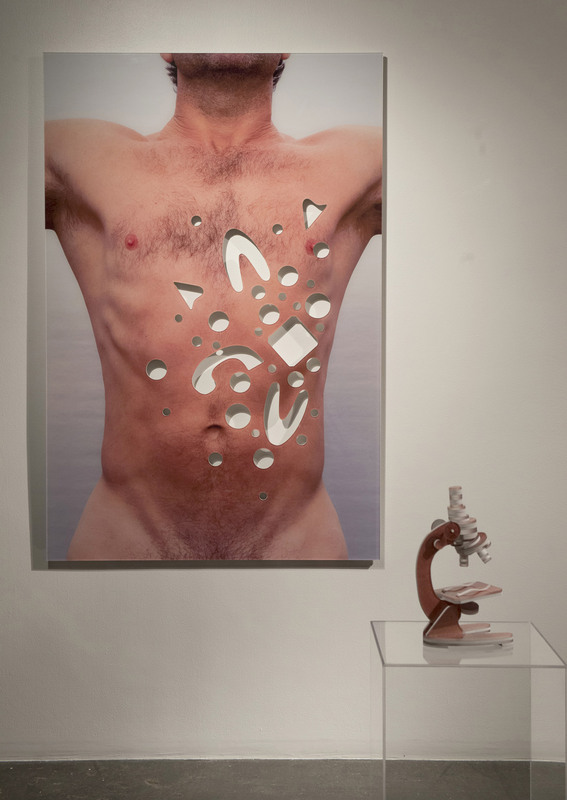 Inspired by the Biblical story of “Doubting Thomas,” a microscope is fabricated from material cut from a large photograph of a man’s torso. The holes mimic the wounds in the side of Christ into which Thomas stuck his hand to be convinced of the resurrection. 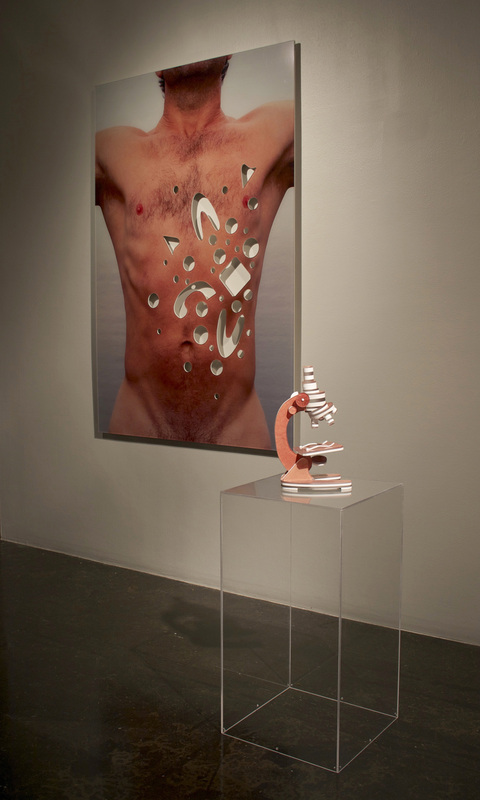 In this work, Thomas is likened to scientific inquiry and empirical knowledge understood through the body.